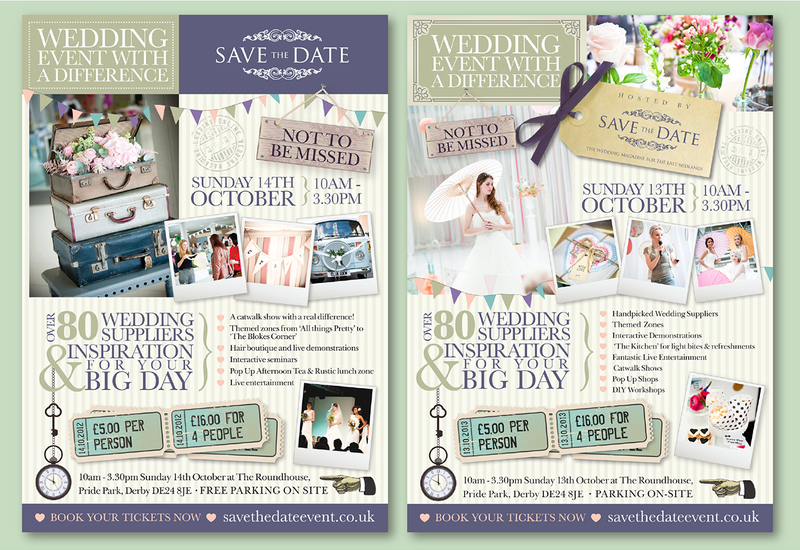 ABOUT: Save the Date is the leading wedding magazine for the East Midlands. It is packed full of inspirational wedding ideas, money saving tips and a directory listing the best wedding suppliers in the industry. They also run a blog discussing the latest news and current wedding trends as well as organising wedding fairs and events. 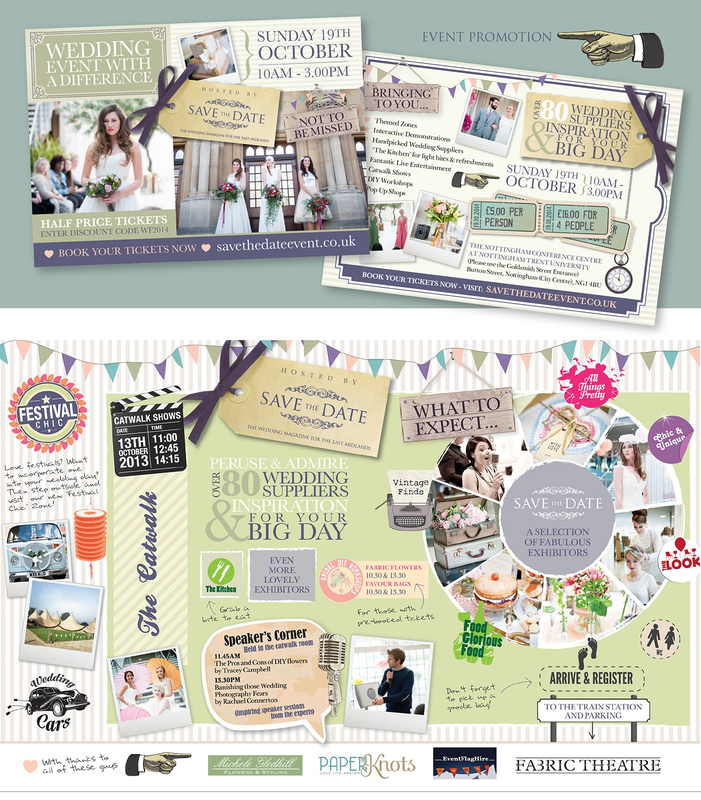 Save the Date was an established brand when Lydia & Abbi first approached Paperknots to help with their marketing. They wanted to retain their current style and brand but inject some quirky personality into their advertising. Paperknots has worked with Save the Date across various projects from printed promotional materials to online media assets. Focusing heavily on the little details within the designs always keeps them intriguing and eye-catching, whilst the clean blocks of colour and classic use of typography ensures the designs remain easy to follow.